The Mackinac Center for Public Policy’s recently inaugurated Property Rights Network is dedicated to preserving and expanding private property rights, which are constantly under assault by uninformed legislators, activist judges, out-of-control regulatory bureaucracies and a school system that rarely emphasizes the importance of such rights as part of civics education. 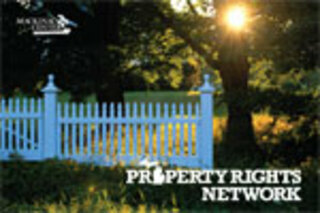 PRN’s goal is to elevate public awareness of property rights and how to protect them; encourage policymakers to respect property rights when crafting laws and regulations; and identify, organize and support property owners across Michigan into a powerful statewide property-rights coalition. 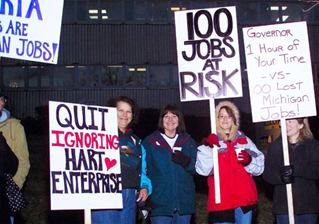 Russ Harding, PRN director, recently conducted an interview with Alan Taylor, owner of Hart Enterprises, in Sparta, Mich. Taylor is threatening to move Hart to a different state if Michigan doesn’t adapt its environmental regulatory enforcement to allow expanding the company’s parking lot to accommodate future hires. The state currently will not grant the necessary permits because the expansion, it seems, would compromise one of the state’s valued “wetlands” — a half-acre plot of land between the current parking lot and an expressway that retains water for approximately three weeks each spring.